- Package Size: 25 * 15 * 1cm / 9.8 * 5.9 * 0.4inch(L*W*H). - Make fancy holiday art and crafts for gift giving. - Made of acrylic acid, non-toxic, and recyclable. 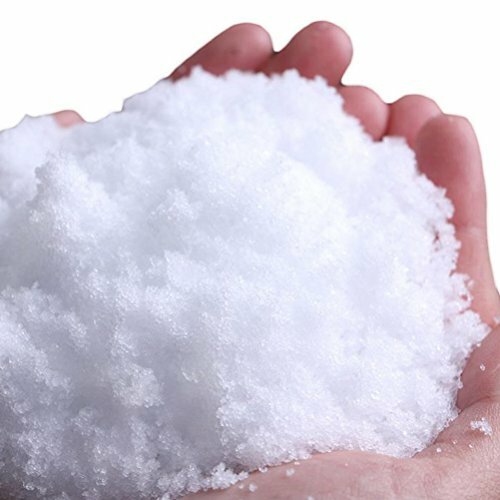 - Beautiful white artificial fluffy white snow for all you decorating needs all year round. - Create a fantasy look in your Christmas village or other holiday display with the artificial snow. Made of acrylic acid, non-toxic, and recyclable. Beautiful white artificial fluffy white snow for all you decorating needs all year round. Make fancy holiday art and crafts for gift giving. Create a fantasy look in your Christmas village or other holiday display with the artificial snow.